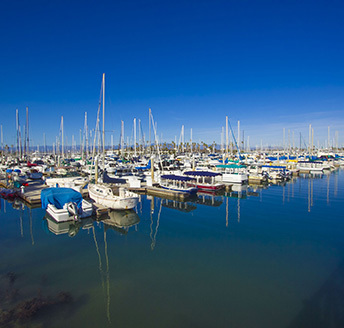 Neighbor to the scenic Channel Islands, living in the Channel Islands Harbor offers something for everyone. From the many fun-filled water activities for the whole family to sunbathing by the water, this community is ideal for all types of families. About an hour’s drive from Los Angeles, the harbor features several beach-lined parks and coastlines for picnics, surfing, biking and much more. The Harbor provides a vast range of shops and dining, museums, dive centers, boat charters and yacht clubs. See majestic whales off the coastline from December through April. With nine full-service Marinas, the harbor provides berths for 2,150 boats, and Harbor Patrol is on duty year-round, 24/7 to ensure safety.